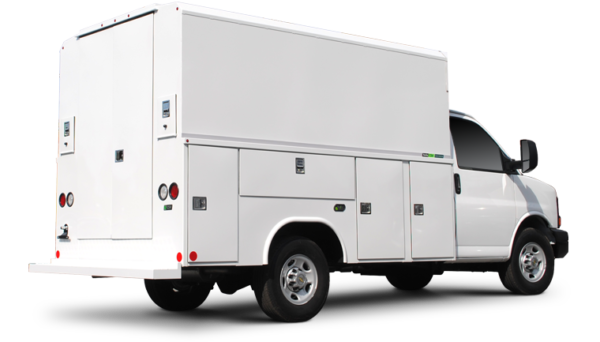 The first aluminum service van built with Reading’s legendary quality and extensive lineup of standard features, the Aluminum Classic Service Van (CSV) is up to 50 percent lighter than a comparable steel van body. 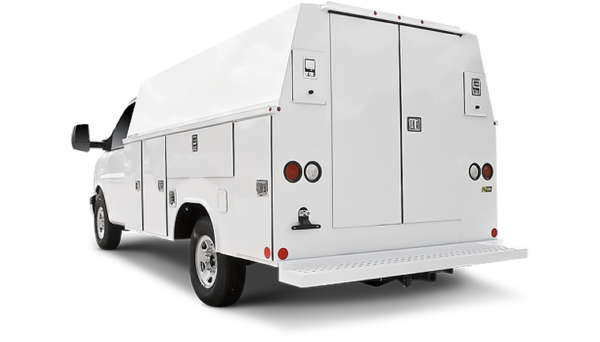 The results are fuel savings of up to 10 percent and a greater payload capacity. 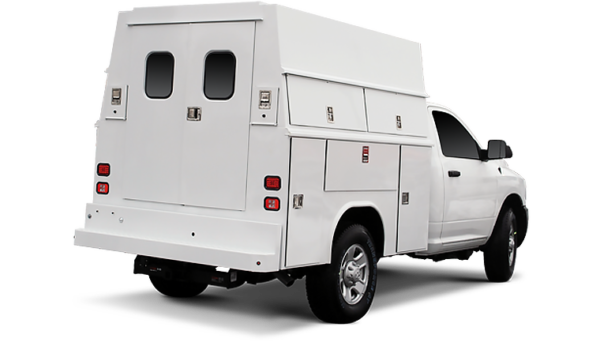 The CSV features the same premium materials and quality Reading construction that have made the Classic II™ Service Body the industry leader. The CSV comes loaded with exclusive Reading features, including a zinc phosphate bath that enhances adhesion of our powder coat finish inside and out, Dual-Pro® door seals, our Aluma-Fill fuel cup, patented hidden hinges and SmartLatch stainless steel locks with paddle handles. It is available in 57″, 72″ and 75″ heights.